I started my time in the Motor trade in 1976 taking a 3 year full time course, Diploma in Automobile Engineering at Waltham Forest College, Walthamstow East London, (probably best known for the Walthamstow Dog Racing Stadium and various infamous night clubs that are now all just a distant memory). So if my memory serves me well and if I am not mistaken! I now have 41 years plus experience in the motor trade (a real glutton for punishment). Hopefully the best years are yet to come! About me…Well the best description would probably be extremely easy going, open and honest, wear my heart on my sleeve! Born in 1958 Paris France, Hungarian Origin, Australian Citizenship, and a good honest Cockney Boy……Well it’s a long story! Now living in beautiful sunny North Devon. My Hobbies are Fishing and Fishing. After attending a local secondary school, Mike decided to train as a chief and took a two year full time National Diploma in Hospitality at North Devon College now renamed after a Cornish saint “Petroc”. In those two years Mike gained invaluable experience working for an upcoming local chef and restaurant owner James Duckett, who at the time ran The Custom House in Barnstaple. Mike also spent several weeks working abroad in Szeged Hungary. 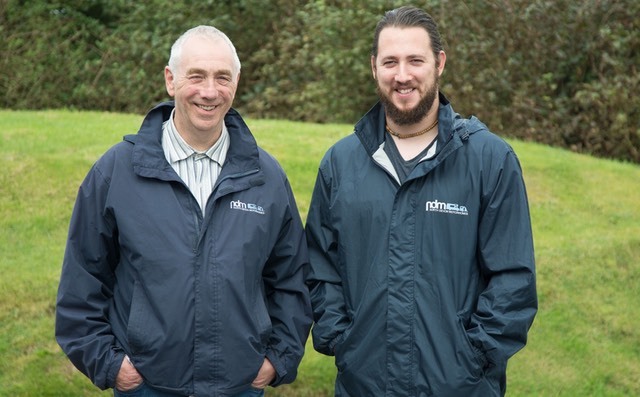 During his National Diploma, Mike was part of the proud winning team for North Devon College in 2009 for the Nestle Toque D’Or competition, in which several hundred colleges compete to showcase their students catering talents. In 2011 after returning from a well deserved gap year touring Australia and New Zealand, Mike decided on joining the family business. Mike is now the Sales Director and an invaluable asset to the business.